Original label to back. Plus its lovely original key. 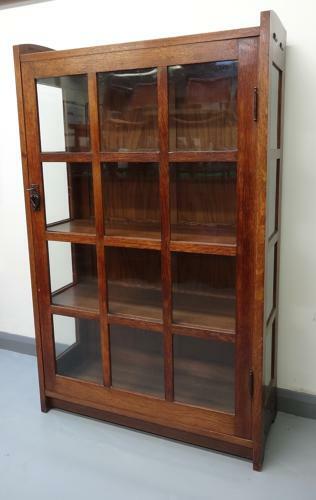 Although normally categorised as a china cabinet, the label (not very clear) states "bookcase". But of course can be used for either! Approx 36" wide, 58" high, 13" depth.